Batam is a small island located off Singapore's South Coast and is a central piece of Batam Municipality. Batam is located North of Galang, east of Bulan Island and West of Bintan Island, separated from Bintan Island by the Riau Strait. 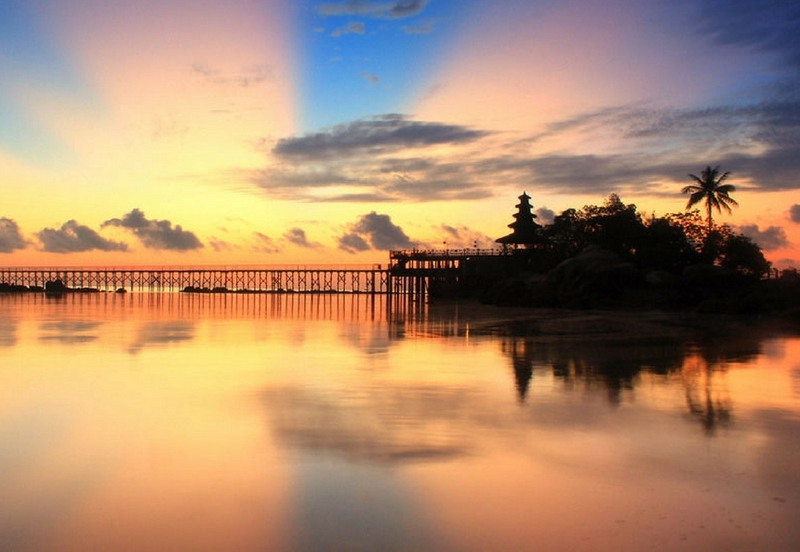 The term Batam can refer to the municipality, the city or the island. The beautiful island is slightly smaller than Singapore. Unlike other islands that are becoming more and more urbanized due to commercialism and increased tourism, Batam has retained its unique culture and rural environment. The close proximity to Singapore has opened many doors in terms of economic, social and cultural advantages. Looking for printing shop? Why don't just print online? 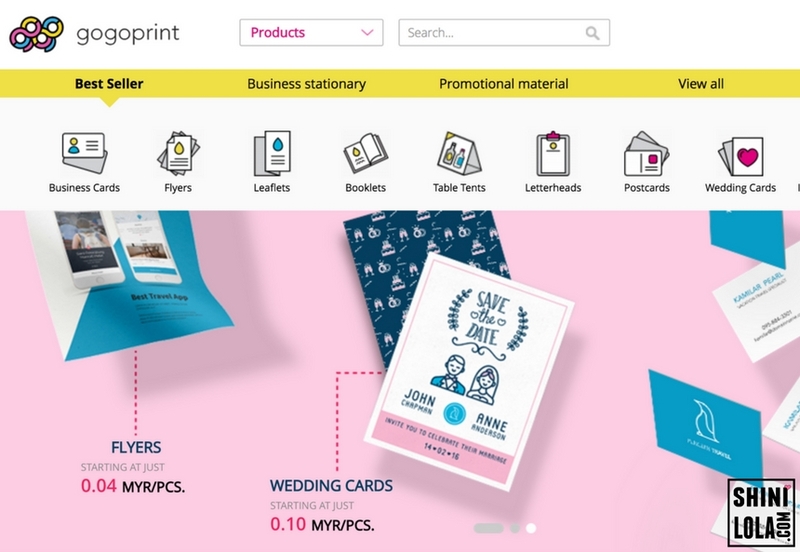 Introducing Gogoprint - the biggest online printing company in Southeast-Asia. Whenever I want to print my stuff, I always feel lazy to drive out and find an offline printing shop. Also, I need to spend time for traffic jam, find a car park and communicate with the staff about my design. Now, I have no worries about that anymore, because I can order via Gogoprint. Hi ladies! Have you hear about Arwin? 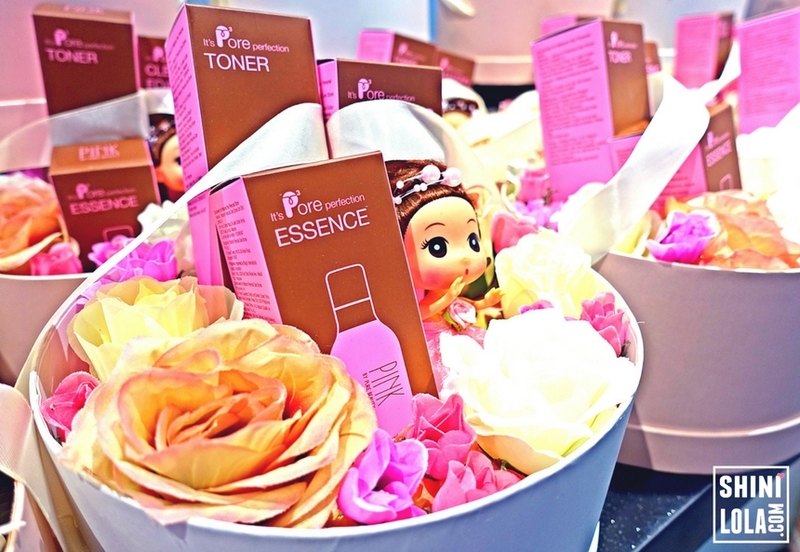 Arwin is a popular and multi-awarded skin care brand in Taiwan. They comes out with a lot of products such as cleanser, lip balm, lotion and many more. 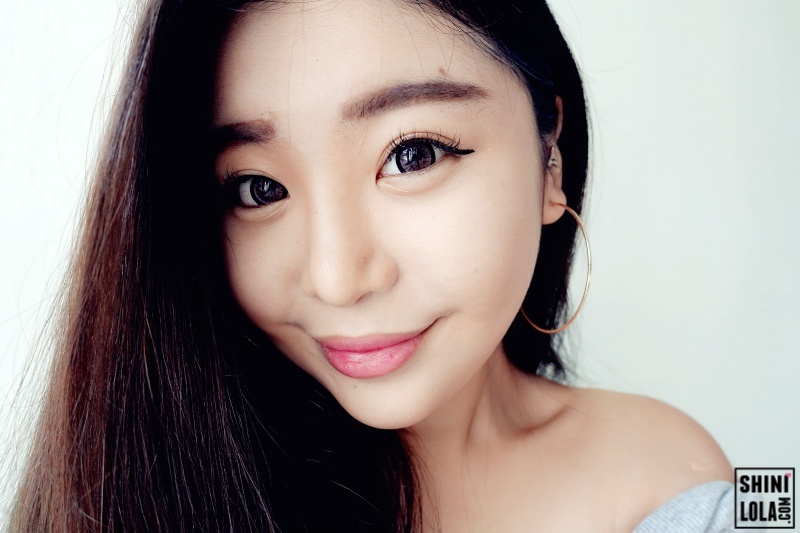 Today, I'm going to talk about the most important daily routine for us - cleansing. Introducing Arwin Damanscena Rose Whitening Cleansing Mousse. I'm so excited to blog about this because all the photos I took are so beautiful! 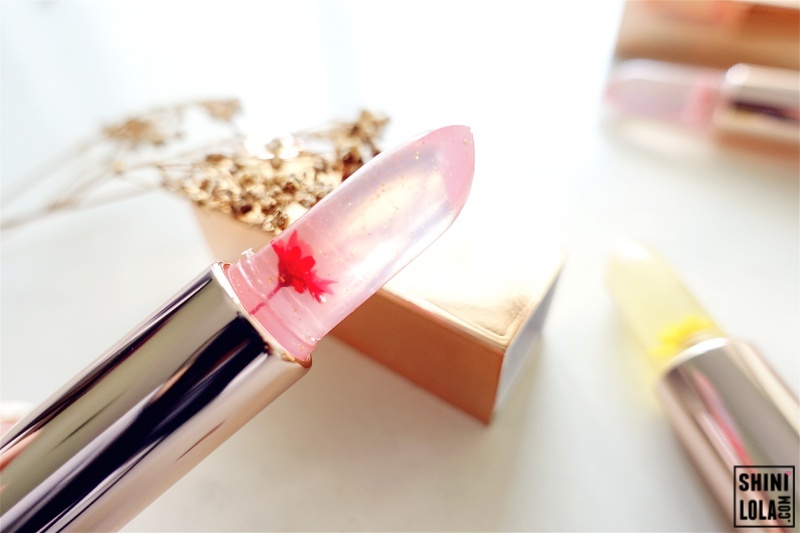 Lol~ Few months back, some ladies shouting OMG when they are looking at those real flower lip glow photos on Facebook, well, I'm one of them actually. 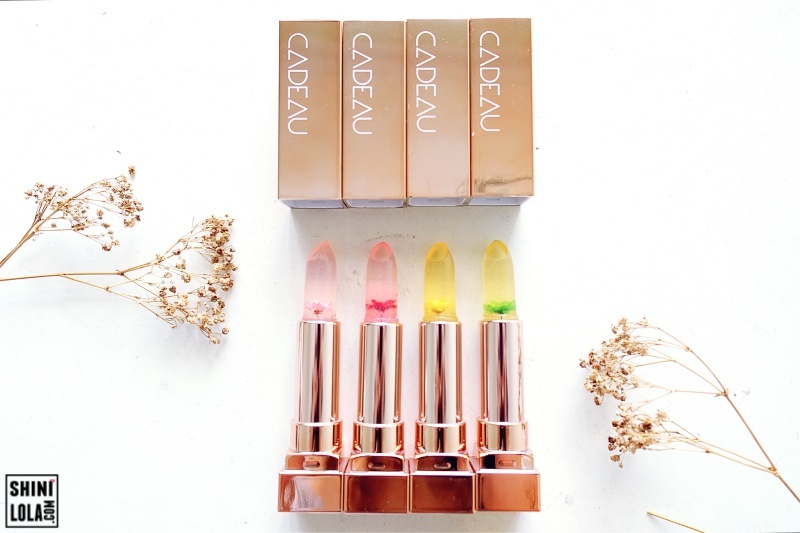 Now, I got total four Pure Flower Extract Lip Glow from Cadeau. Yes, not just one but four. 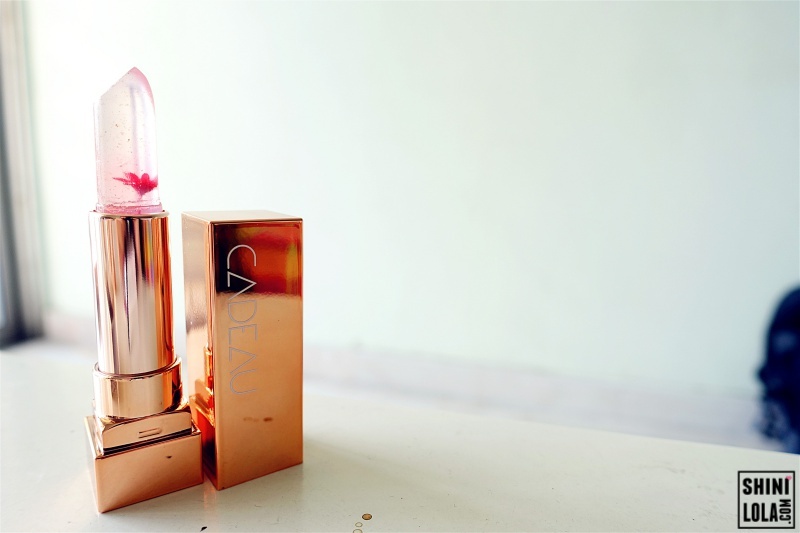 Cadeau, the French word for gift is the chosen name for their premium line of concept cosmetics. 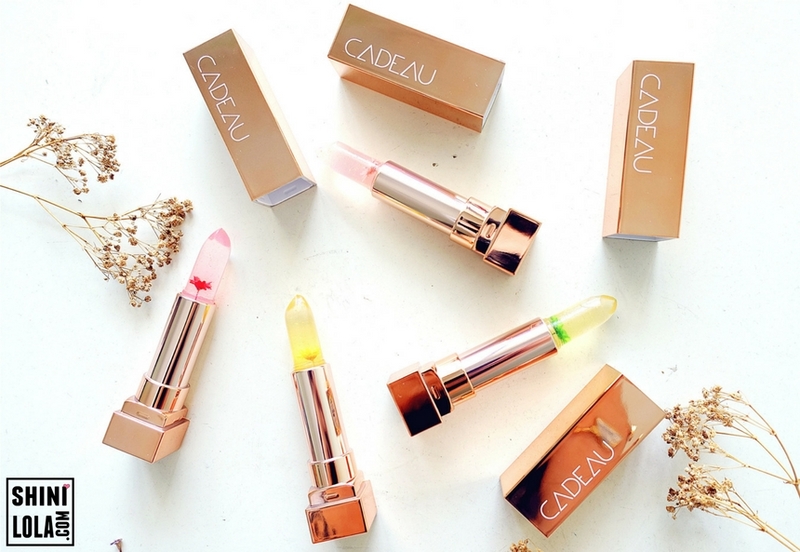 Cadeau is produced in South Korea where beauty is held to exemplary standards across the international spectrum, with a highly-competitive cosmetics industry. 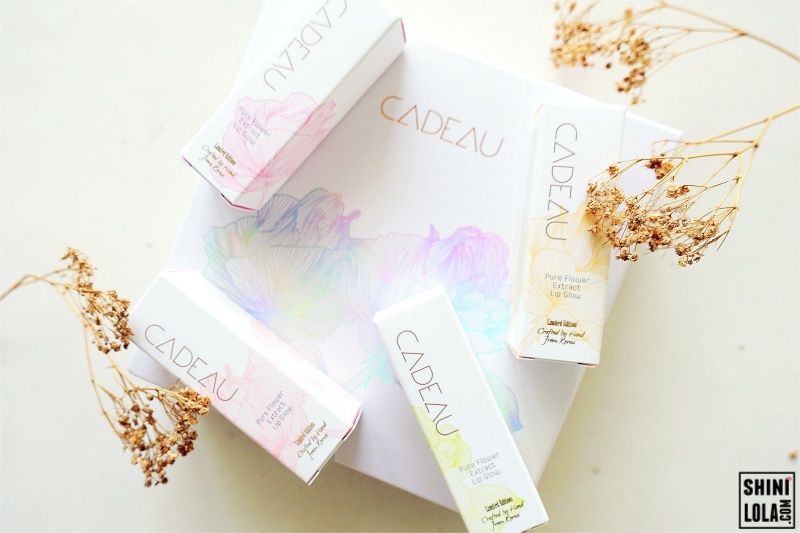 Limited, seasonal production ensures Cadeau's quality under close supervision by keen eyes and skilled hands, packaged with great care as how a gift should be made. 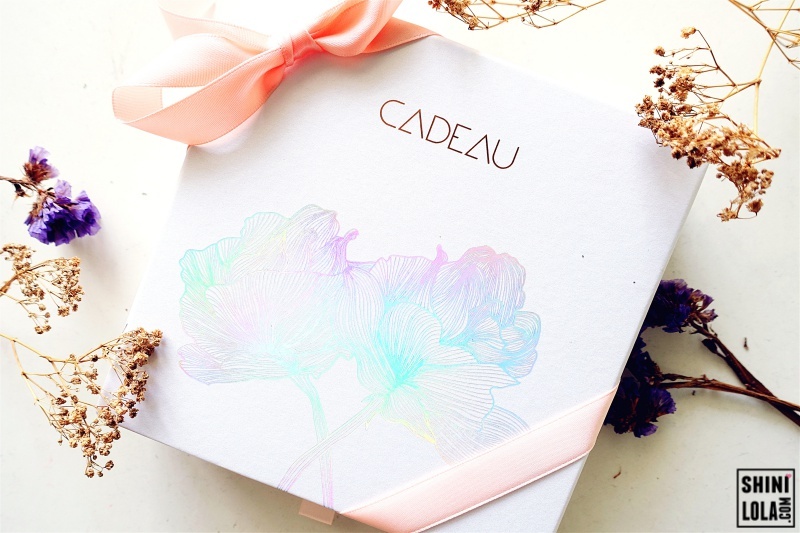 Cadeau even provides a few gift card for you to customise. Just in case you want to send to your friends as a gift. Such lovely. 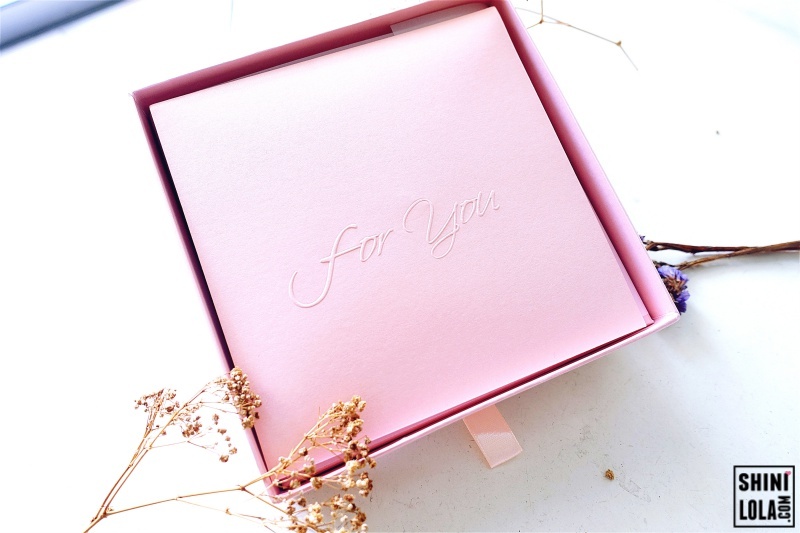 Frankly, I will be very happy if I received this box as a gift. Lol. 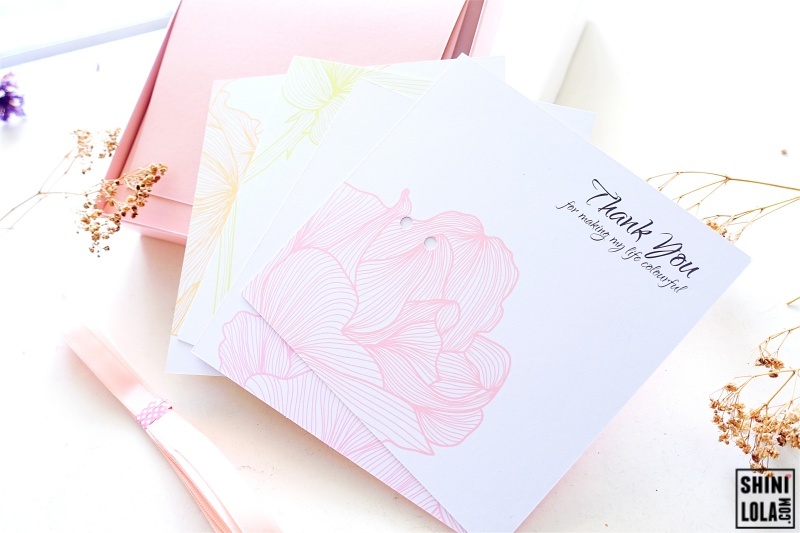 Love the packaging - white design with a touch of flower watermark. Everything looks simple but pretty. I love the way they label "Limited Edition" on the packaging. It makes me feel special to received this. 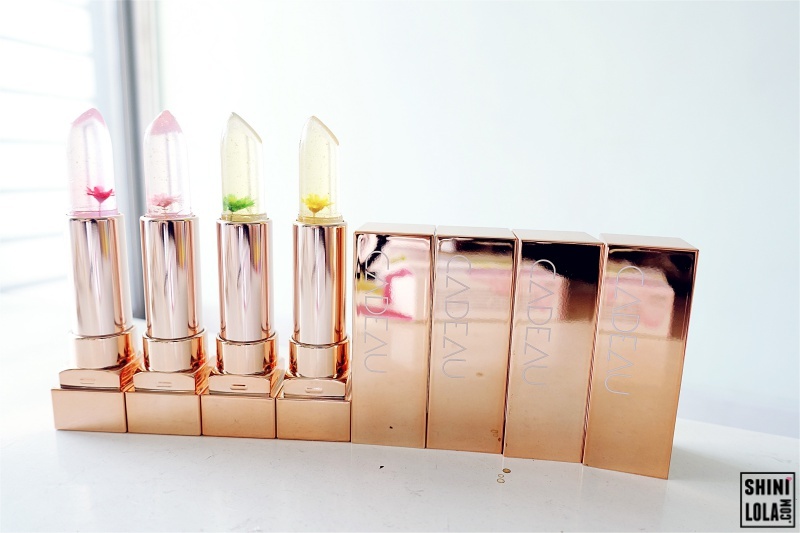 Designed as a premium handmade product in soft, natural colours yet delivering high-quality cosmetic performance in a small, handy package, they are perfect as presents for anyone's beloved. 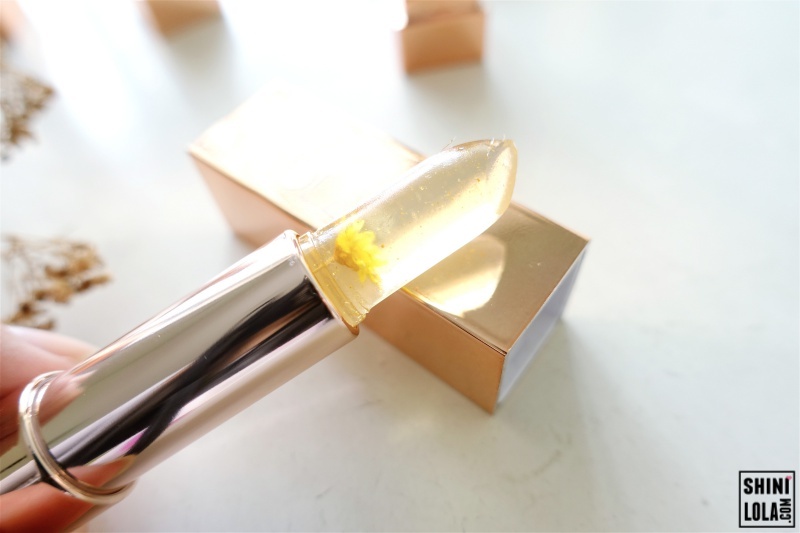 Yes, look at the glossy gold packaging with the glitter jelly lip glow. 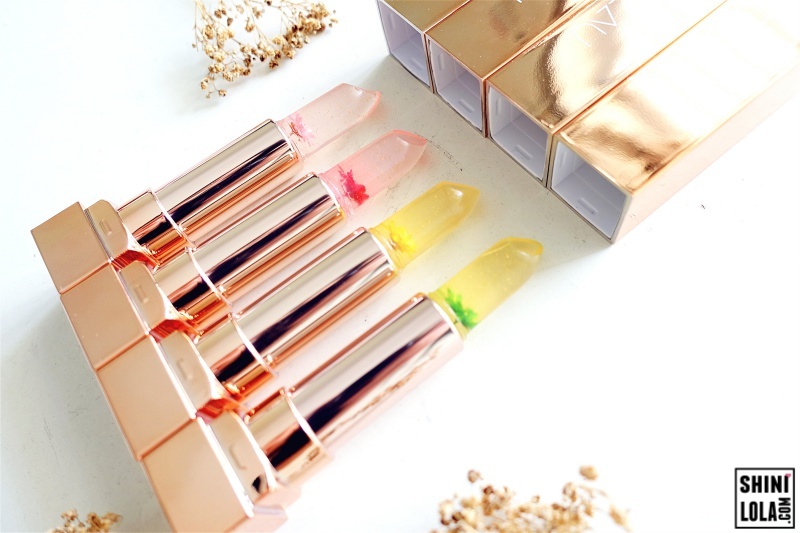 My heart is melting when I saw these lip glows. A premium product designed with love and nature in mind, the limited run product is produced in small, controlled numbers across all four seasons, and has a case of polished brass finish sporting the Cadeau brand along the side, giving the lip glow a classy look that is ideal for the warmest of occasions. Take a closer look on it! 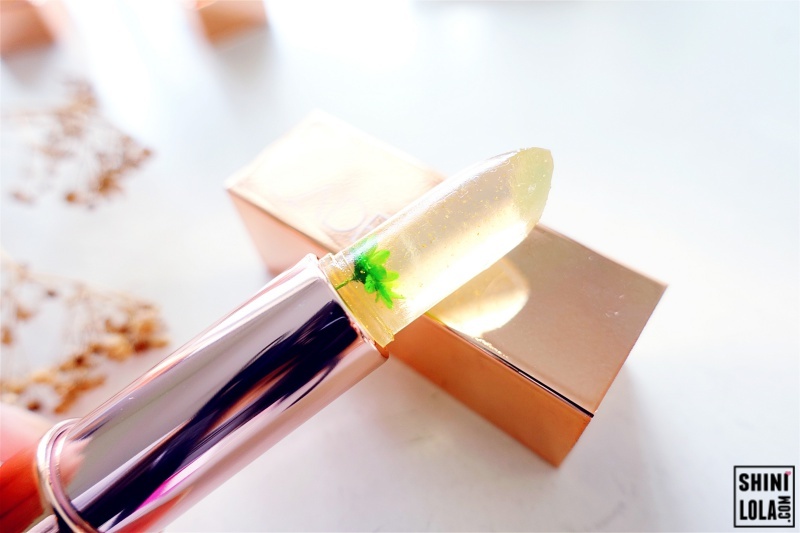 It has a tiny real flower inside the lip glow! 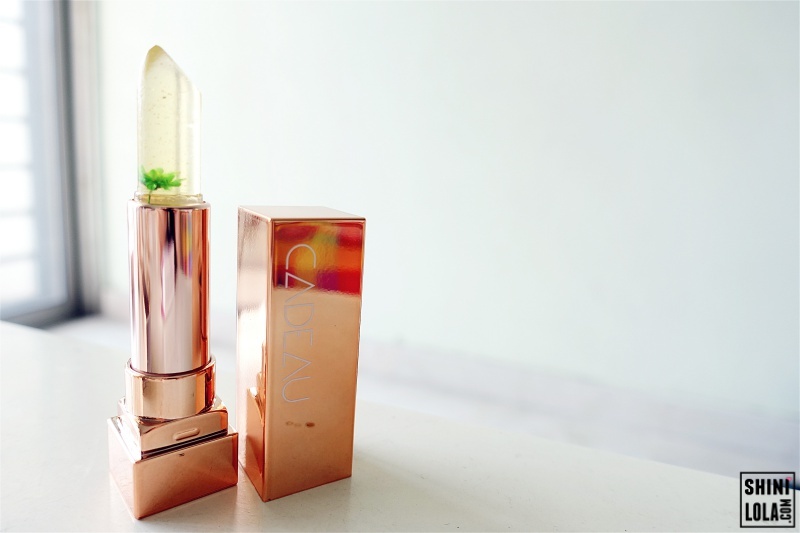 OMG, when I first apply this GL01 Celosia on my lips I was thinking what will happen if I use until the flower level there. Lol. I guess everyone has the same thinking as mine. This is my favourite shade among all because I love its fragrance. So sweet and so lovely. 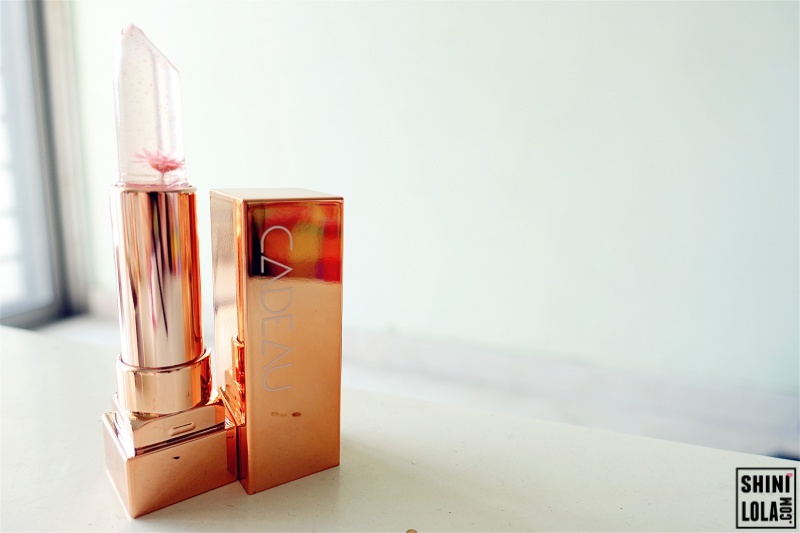 The colour is not really vibrant but it does giving a touch of soft pink on my lips. Continue reading to find out more on the outcome. This is another shade of pink - GL02 Jacques Cartier, but with softer shade. 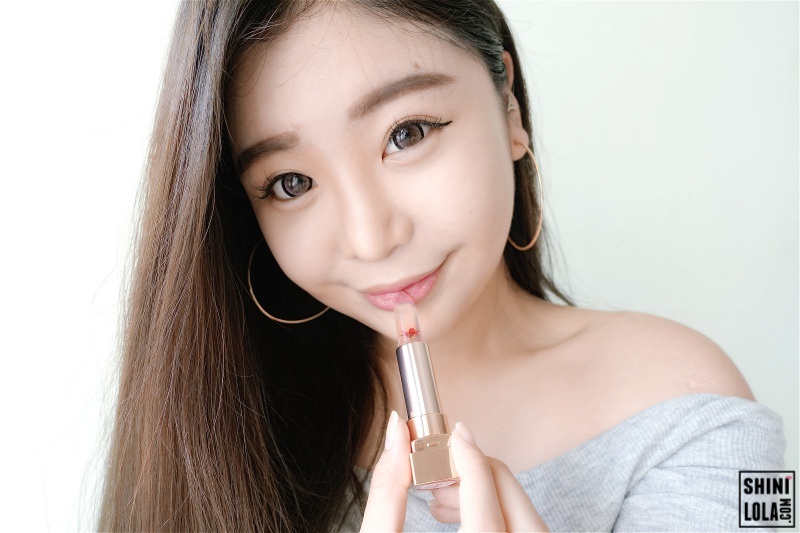 I love to apply this on normal days such as working day because the colour is so natural. You know, boss doesn't like you with wild colour lips. This shade is just right for the workplace. I have a love relationship on green colour. No worries, since the colour is not vibrant, it won't giving you a green lip. Just a little touch of soft green will do. I normally apply this - GL04 Viridiflora for workout. Why? I have no idea. I just like to apply this before workout. Lol. Last but not least, the GL03 Acacia is a lovely yellow shade. I would say this shade is the least vibrant among all. So basically you can apply this on any occasion. This is the "before". You can see my lips are so dry as I always apply wild colour lipsticks and don't have time to scrub my lips. 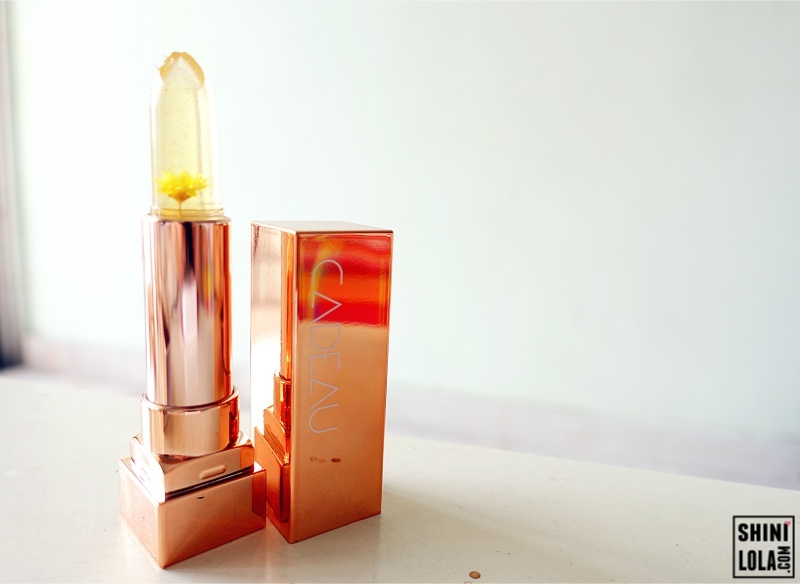 So, let's see how is the result after I applied Cadeau pure flower extract lip glow. You can see after I applied the lip glow my lips turn moisture a lot. 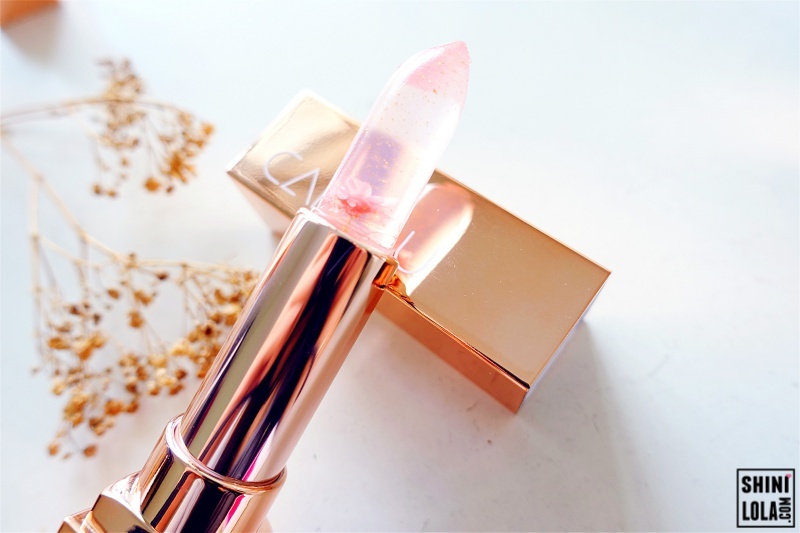 Yes, the lip glow not only beautiful looking, it also moisturise your lips. I'm so gonna use this in front of my friends and family during Chinese New Year to show off! Lol, too pretty and I want them to keep shouting OMG while watching me applying. This is definitely a great and lovely gift for girlfriends, mom and siblings. The retail price is RM95 for each and RM350 for a box of four. For more info, please feel free to visit Cadeau on Facebook and Website. 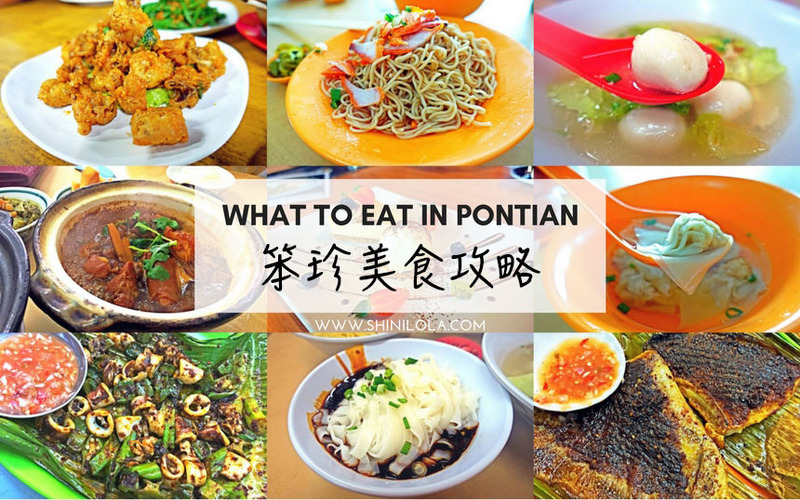 Whenever I told someone my boyfriend is from Pontian (笨珍), people was like where is Pontian? What to do and eat there? After I told them what I had eaten there, my friends asking why don't you blog about them? Well, here you go guys! I compiles all the foods I had eaten into one list just like what I did for Johor Bahru One Day Trip. Hopefully you guys enjoy reading this post. It's time for #SHINIxFOOD post! 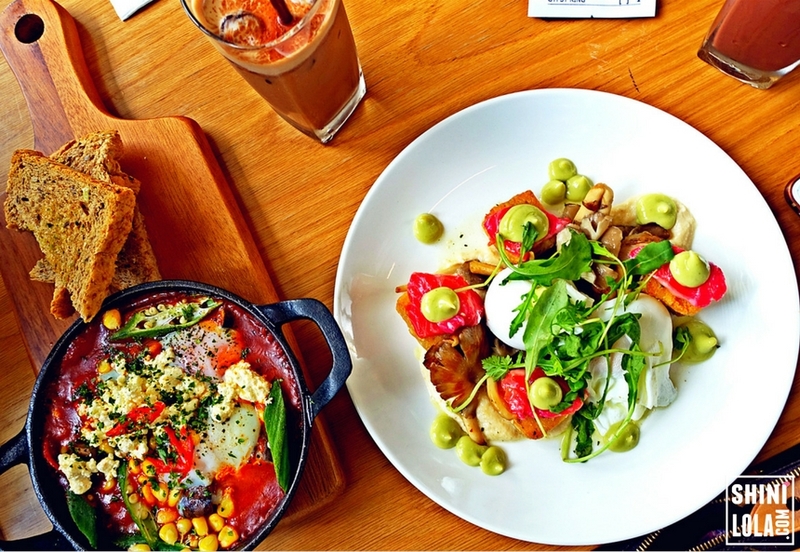 It's been awhile since I blog about food post. Actually I had visited a lot of cuisines and cafes but I haven't blog about them yet. Guess I should do so to keep you guys hungry and craving for it while you're reading my blog. So, today I'm gonna talk about Breakfast Thieves. One of the popular cuisine in Bangsar. Hello readers! 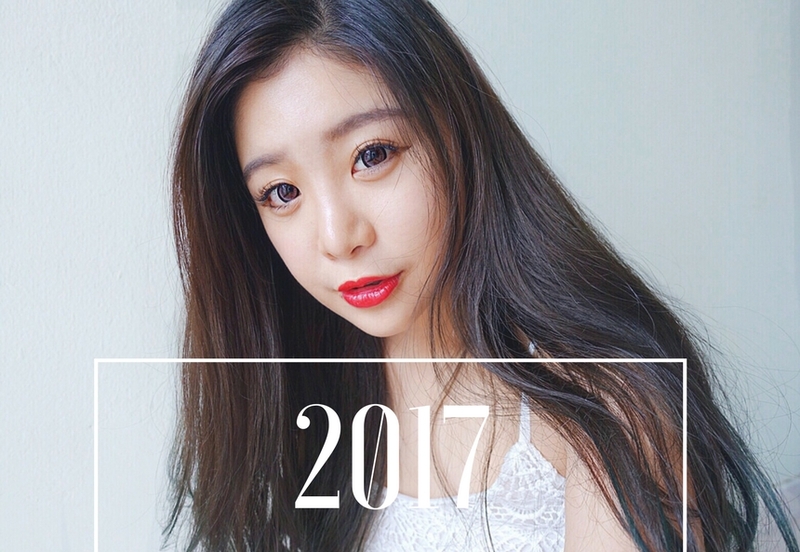 Welcome to my blog and this is the first post of 2017. Thanks for supporting my blog all the time and I'm really appreciate your readership. I'm just an anonymous small potato and I won't still blogging if without you guys. Frankly, maintain an active blog is not an easy job. I need your support as motivation for me to blogging continuously. Today, it's all about 2016 recap of my life. It will be wordy but won't too lengthy as I only emphasise 10 things happened in 2016.